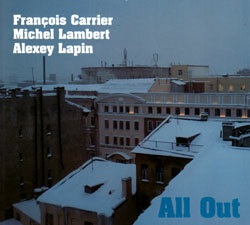 It would be an understatement to call the Canadian trio of Francois Carrier (alto saxophone), Michel Lambert (drums) and Rafal Mazur (acoustic bass guitar) a working trio, as the band seems constantly on the go, performing their complex avant jazz live in Romania in 2016 at Aethernativ, for four extended, intricate and cathartic free dialogs. Recorded live at Aethernativ, Timisoara, Romania on May 29th, 2016, by Francois Carrier. "b. 5 June 1961, Chicoutimi, Quebec, Canada. Carrier began his career as a professional jazz musician, playing alto saxophone in Vancouver in 1979. He soon attracted attention from fellow musicians and a growing audience through his often audacious approach to his music. 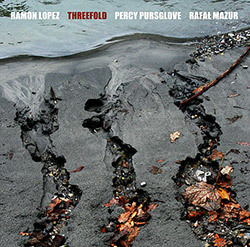 Based since 1982 in Montreal, he has shown himself to be a fluid and inventive performer of improvised music, especially since the formation in 1990 of his trio, in which he was joined by bass player Pierre Coté and drummer Michel Lambert. 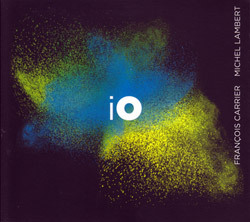 Following the release of Intuition, which was nominated as Jazz Album Of The Year at the 1998 Gala de l'ADISQ (Québec's Music Awards show), Carrier's trio toured Europe, playing at the Montreux Jazz Festival. 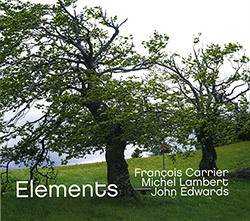 Also in 1998, Carrier founded Nouvel Ensemble De Musique Improvisée (NoEMI), a gathering of like-minded free players, among whom have been Dewey Redman and Sonny Greenwich. Early in 2002, Carrier spent some months composing new works in Rome, having won an award by the Conseil des Arts et des Lettres du Québec. More tours of Canada and some European countries followed, as did more acclaimed albums. 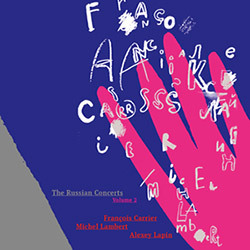 Over the years, in concert and sometimes on record, Carrier's trio has been augmented by guest pianists who have included Steve Amirault, who appeared on Carrier's Juno Award-winning Compassion (2000), Paul Bley and Gary Peacock, heard on Traveling Lights (2004), Uri Caine, on All'Alba (2003), Jason Moran and Bobo Stenson. 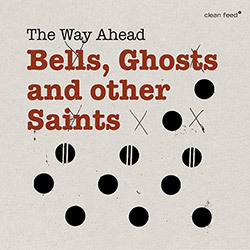 Among other musicians with whom he has worked are Mat Maneri, Uwe Neumann and Gary Peacock. Carrier's sound is tough and he attacks his music with verve and unpredictability, demanding, and successfully receiving from audiences, attention to and understanding of the swiftly changing moods he explores." "Francois Carrier knows how to surround himself, find the most compatible partners, and maintain a recorded presence all over the world. 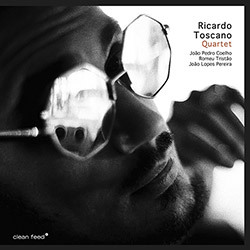 His rich, deep playing that blends lyricism with boldness and a sense of surpassing one's self has earned him a place in the Eight Annual International Critic's Poll of El Intruso 2015 and in the DownBeat's 2013 Best Alto Sax Players List. In 2001 he won a Juno Award in the Best Contemporary Jazz Album category for his third album Compassion (Naxos Jazz). 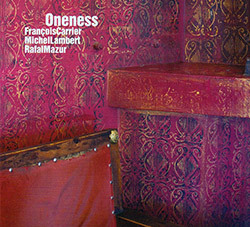 To date, François combines an impressive discography of over thirty internationally acclaimed albums with legendary musicians such as Paul Bley, Gary Peacock, Bobo Stenson, Tomasz Stanko, Uri Caine, Jason Moran, Dewey Redman, Mat Maneri, Sonny Greenwich, Jean-Jacques Avenel, John Edwards, Steve Beresford, Rafal Mazur, etc. Drummer Michel Lambert has been his most faithful collaborator. Together, Michel and François undertook several tours in Europe, Asia and Canada. In 2002, François spent six months in Québec Studio in Rome as a saxophonist-composer where created links with the Italian music scene. He also lived in the Québec Studio in London in 2011, where he worked among other things in the development of his Free Opera and initiates a number of recording sessions with several London musicians. In 2005 he was spotted by British label Leo Records with whom he released five unique albums. 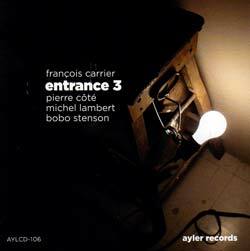 Several European avant-garde music labels then join the party such as Creative Sources (Portugal), Ayler Records (Sweden-France), FMR Records (England), Not Two Records (Poland). Following the major international media coverage, the demands keep multiplying. Thus soon, François will publish four new albums recently recorded during his 2015 European tour on NoBusiness Records (Lithuania) For Tune Records (Poland) and FMR Records." 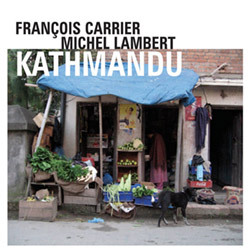 "Michel Lambert is the descendant of a virtual dynasty of classical musicians in Quebec. First exposed to music by his mother and then his grandfather Omer Létourneau, he spent a good part of his youth between the Petit Séminaire and the Conservatoire de Musique de Québec, the city where he was born in 1959. His fascination with drums and composition inspired him to pursue his musical education at Berklee College in Boston, where his professors included John La Porta, Herb Pomeroy, and Greg Hopkins. Later on, he travelled to Paris, attended the Banff Jazz Workshops, studied with Dave Liebman in New York and Misha Mengelberg in Amsterdam. Following a few meetings with Charlie Haden, he joined Milcho Leviev's trio in Los Angeles in 1983. Since then, different projects have taken him to Europe, across Canada, the U.S. and Asia, at different festivals like the Berliner Jazztreff, Jazzfest Wien, l'Europa Jazz Festival du Mans, Pori Jazz, Internationales New Jazz Moers, Tampere Jazz Happening, Jakarta Jazz Festival, Birmingham Jazz Festival, le Festival International de Jazz de Montréal and many others. 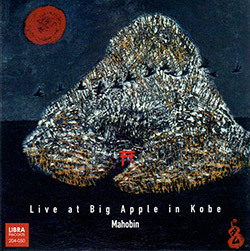 He has performed and recorded with Gary Burton, Dewey Redman, Barre Phillips, Kenny Wheeler, Bobo Stenson and Uri Caine among others. In Toronto from '87 to '94 and living in Montreal since '96, he has performed coast to coast with the groups of Sonny Greenwich, Herbie Spanier, Wray Downes, Don Thompson or Dave Young. 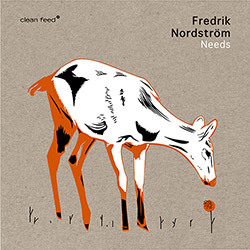 A recording artist in Europe with Lonely Universe for CMP Records, Germany / Jimco Japan, the cd project won international acclaim ... "adventurous yet contained, always uncompromisingly searching" quoted the New York Review of Records. 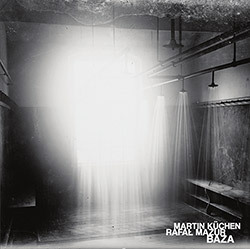 With Finnish guitar player Raoul Björkheim, a review of "Ritual" in Wire Magazine mentioned " ...a vital and important record..." . He performs internationally with his wife, vocalist Jeannette Lambert, whose recent cd "Lone Jack Pine" is described in Cadence as "... art at a very high level". 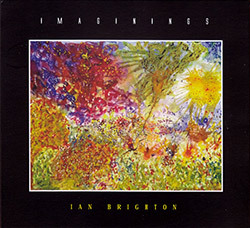 He has Canadian recording credits which include, for Justin Time, with Dave Young, "Inner Urge" and 1993 JUNO Award-winning "Fables and Dreams", the Herbie Spanier Anthology volume I and II and "Resonance" with Reg Schwager and François Carrier Trio with Uri Caine. 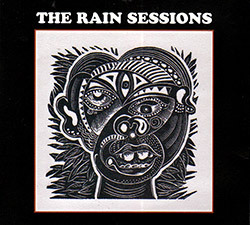 On the Rant Label, he has produced several sessions with his ground breaking trio Maïkotron Unit, "5ieme cycle de 7", "Composition with Three Figures" and Lonely Universe "à la Plage". 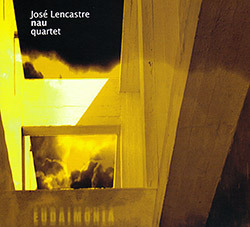 Other recordings include "Les Trois Michel" with Michel Donato and Milcho Leviev for DSM , AD2000 with Agostino Di Giorgio a session recorded in Budapest, the year 2000 Canadian JUNO Award-winning session, "Compassion", Krakatau "Alive", in Helsinki, and Frédéric Alarie Trio "Live à Vienne" for Fidelio Audio. 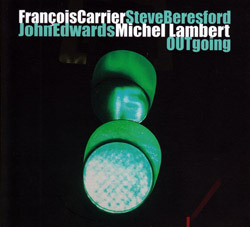 Michel Lambert also appears on numerous cd compilations. 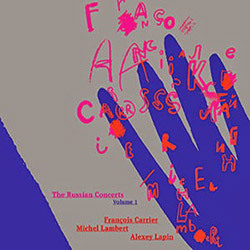 In 2001 he started a series of compositions titled "Musiques Dessinées", entirely based on drawings. In 1998, with a grant from the Conseil des Arts et des Lettres du Québec, he was resident of the Studio du Québec in New York City. In 1988, he composed his "Journal des Episodes, 366 Episodes pour orchestre symphonique" . In '92, 33 excerpts from the work received a World Premiere performance at the first Winnipeg New Music Festival by the Winnipeg Symphony Orchestra. His orchestral works also include "Le Passant, Triptyque pour Orchestre Symphonique" ('92). As a composer and band leader, over 50 of his jazz related compositions have been broadcast nationally. When he brought his quartet to the Ontario Science Centre for CJRT Sound of Toronto Jazz Series, critics wrote "...a challenging hour of unusual fare created by a masterly drummer" et "Lambert pushes the Jazz series to the edge"." "Rafal Mazur's involvement with music began in his youth with violoncello studies in Krakow. He switched to bass guitar in the late 1980's. Since 2000 he has played an acoustic bass guitar built to his own specifications by luthier Jerzy Wysocki. He has developed an advanced and individual approach to his instrument, and to improvisation in general, in which sonority, extended technique and gesture combine effortlessly in performance. He has taken an important role in Kraków to support young artists and improvised music. A founder of the ImproArt studio of improvisation, he has performed jazz and improvised music in clubs and festivals across Poland and Europe, and in China, South Korea and Israel. In recent years he has collaborated with Lisa Ullen, Frederic Blondy, Charlotta Hug, Raymond Strid, Keir Neuringer, Zsolt Sores and others. 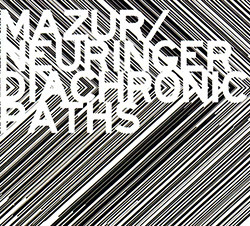 His current focus is the band "Ensemble 56" and "Mazur/Neuringer Duo". He is an organizer of the Laboratory of Intuition, a series of spontaneous art presentations in Kraków. 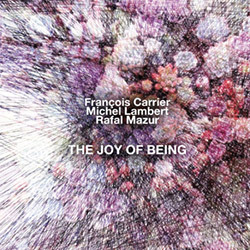 Mazur's main field of interest and activity is collective and solo free/spontaneous improvisation. In his practice as an improvising musician and on his way to mastery/artistry he studys Chinese philosophy (Jagiellonian University). He regards Taoism as a strong base for the enrichment of the improviser's attitude, and to this end he practices the Taoist's martial art TaiJi Quan Chen. 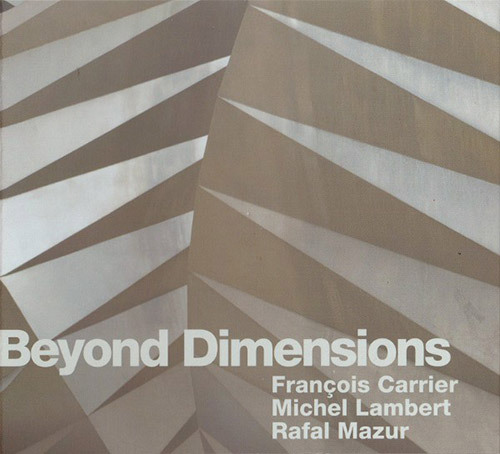 For Mazur, following the masters of Chinese philosophy and martial arts is crucial in the development of a state of mind prepared for the unexpected situations an improviser encounters in the act of collective free improvisation. During the Polish Sound Art in China tour in 2006, Mazur presented lectures in NiHiLo Gallery in Foshan and Zendai Art Museum in Shanghai, taking the opportunity to meet Chinese improvisers and discuss and compare his approaches to improvisation, Taoism and TaiJi. 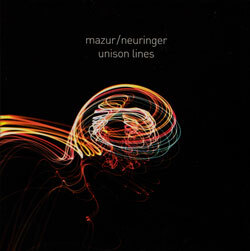 Mazur's most recent work is the first album of solo acoustic bass guitar free improvisation: 'Sonor Forms'. 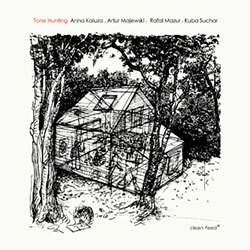 Released by independent label DTS Records in Krakow on its Transidiomatic series, the disc is the result of investigation into the practice of solo free improvisation." "Beyond Dimensions is the newest release of FMR Records. 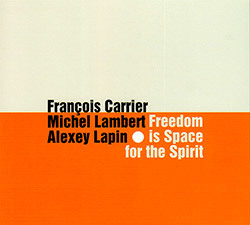 Album was recorded by a trio - it's François Carrier (alto saxophone), Michel Lambert (drums) and Rafal Mazur (acoustic bass guitar). These three musicians had been improvising together many times. Different and contrasting improvisations have bright and innovative musical language and original sound. Even though, each of them is improvising differently, all the improvisations naturally fuse together in one place. The main priority of their improvising is to explore new zones of sound, extract unusual timbres and experiment in all fields of musical language. 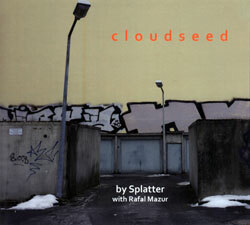 Their music is based on avant-garde jazz and free improvisations. Basic elements of avant-garde jazz are fused together with bebop, hard-bop, neo bop and other modern jazz styles. 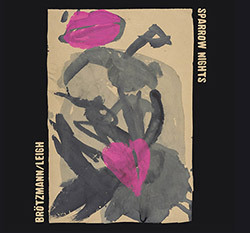 There's also heard the specific intonations of American and Europe avant-garde jazz, excerpts of famous jazz themes, written by great jazz masters and very mild elements of contemporary academical, experimental and electronic music. The music is full of contrasts, original and interesting ways of playing and has expressive sound.